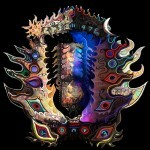 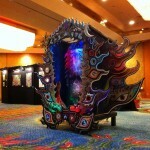 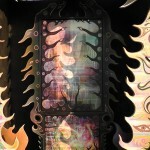 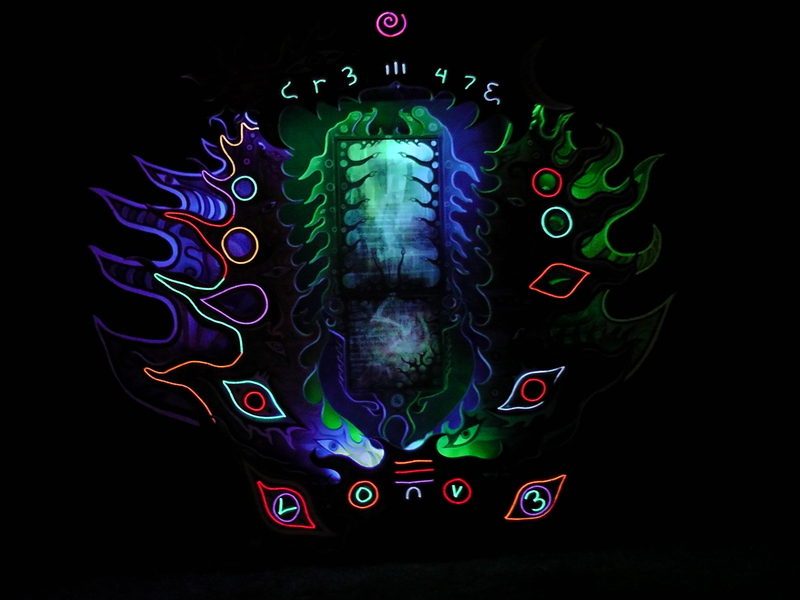 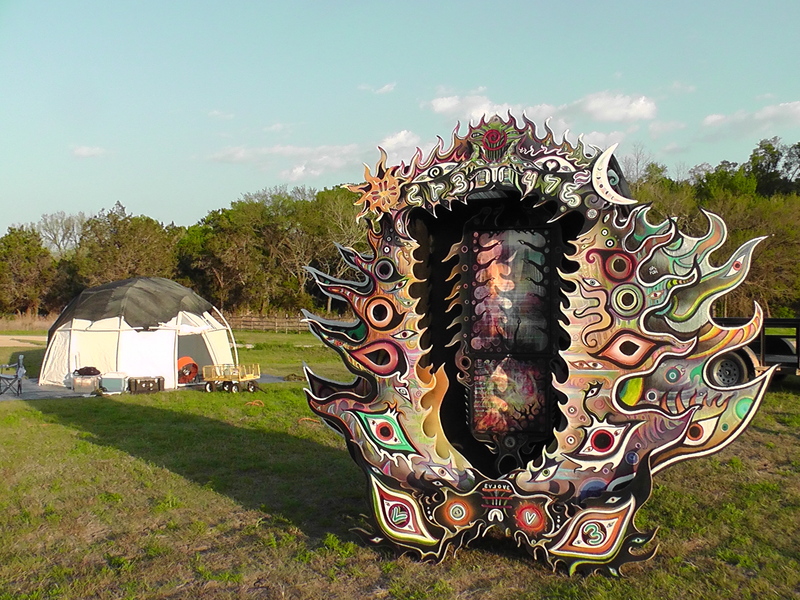 Stairs of Ascension is a next-level visionary multimedia art installation by Austin, TX artist Thoricatha. 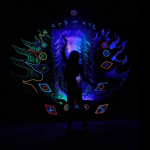 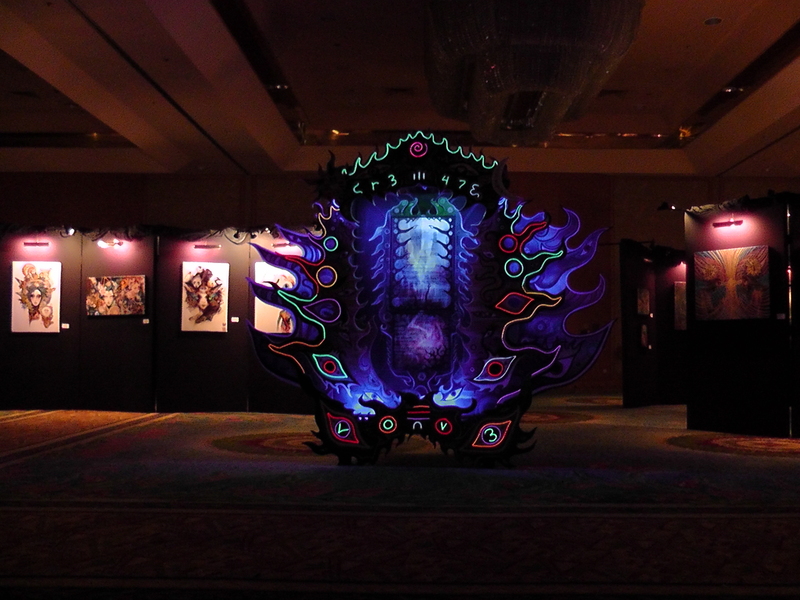 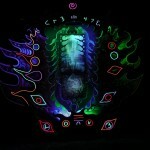 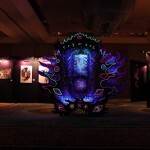 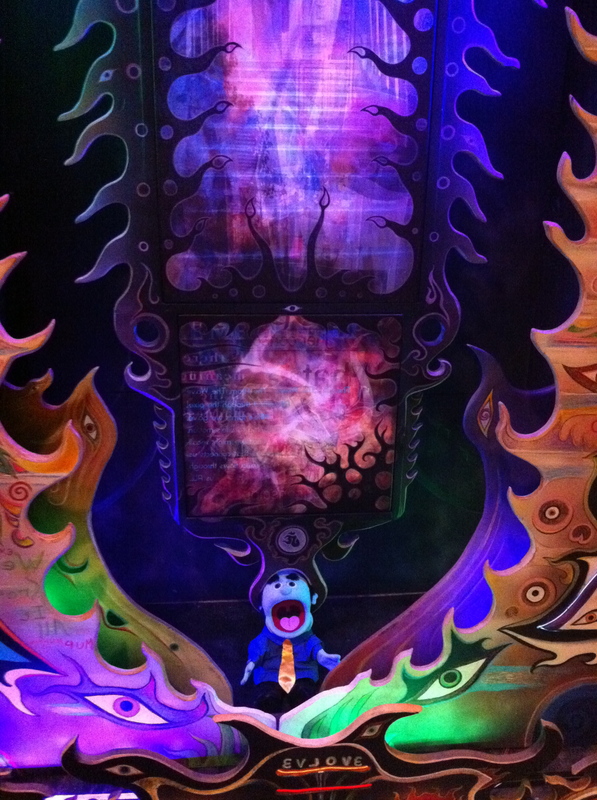 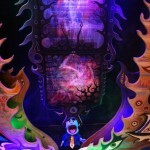 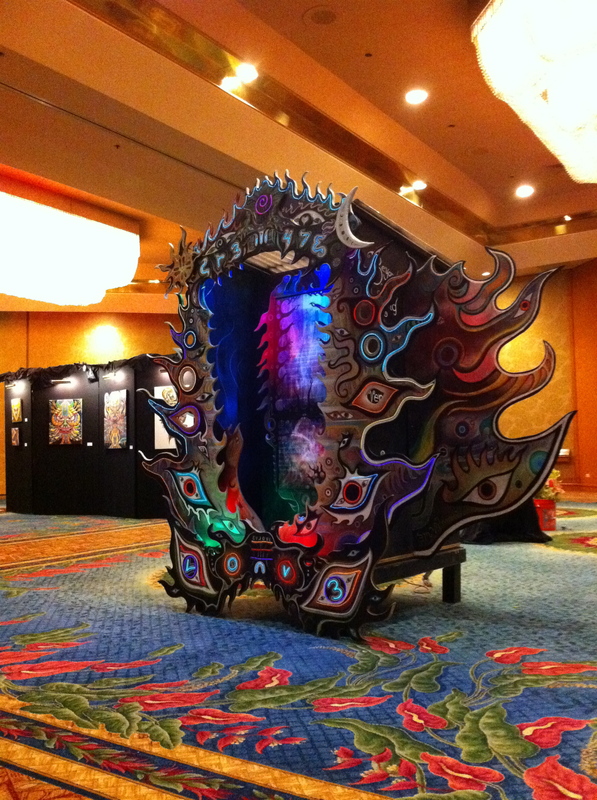 This large installation contains an eclectic mix of media, including digital art, hand-carved wood, canvas prints, colored pencil, spray paint, and dazzling multi-channel RGB and EL wire lighting. 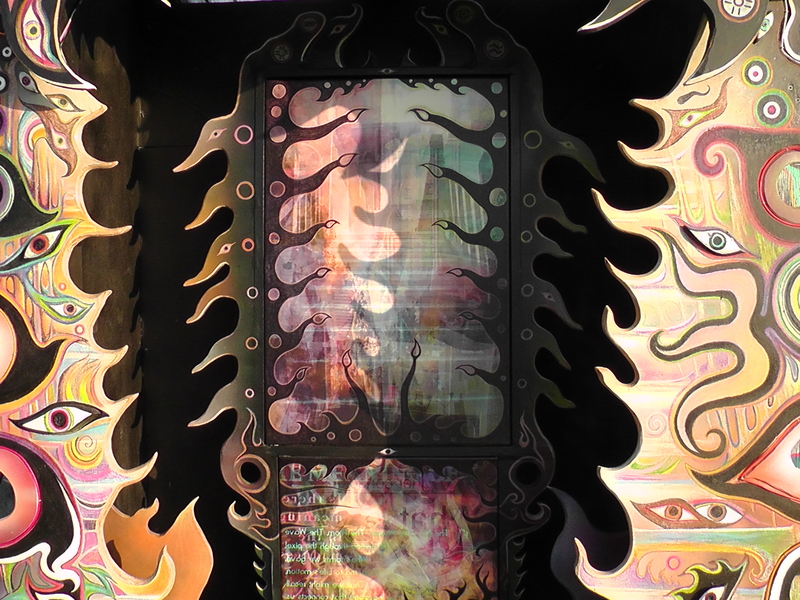 During the day (or with ample external lighting) the deeply intricate visionary art and wood sculpting come to life. 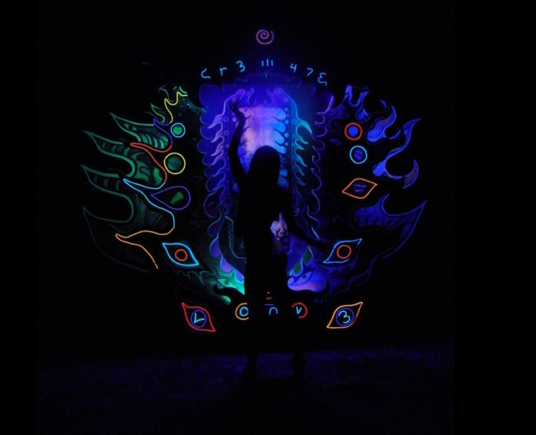 At night, the installation transforms as the lighting activates and takes the viewer on a journey of a blending, blinking, and at times sound-reactive colored light display. 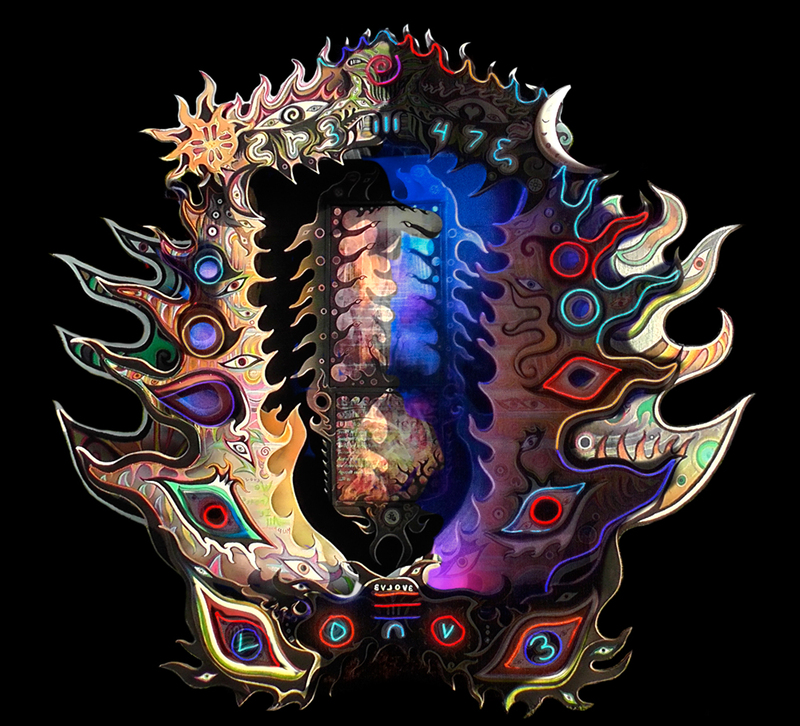 Along with rich visuals, encoded within the subtle text and symbols across the piece is a powerful and uplifting message that has kept viewers entranced for hours on end.